Why is Sandblasting Better than Power Washing? Surface preparation for painting or metallizing is the foundation of a lasting finish. You need to be sure that all dirt and rust is removed before laying your base coat of primer or beginning the zinc metallizing process. If surface preparation is not thorough, your equipment will begin to chip and that will cause it to rust sooner again. Sandblasting removes the rust that is embedded and pressure washing only removes the dirt and surface rust. Sandblasting lasts longer and over time it will cost less. If properly sandblasted, your paint job will last 10 or 15 years. Pressure washing does not create a like new surface for a long-lasting paint job. Sandblasting will prevent corrosion over time and pressure washing will not as it does not remove damaged metal from the surface. Sandblasting creates a gritty surface profile that holds paint and support zinc metallizing processes better. Sandblasting services have many applications that include paint removal for prepping cars, motorcycles or machinery for a new paint job, restoring outdoor furniture to its natural color or prepping it to paint, and even cleaning stone or tile signage. With the availability of mobile equipment or stationary equipment in the shop, the size of the project is no concern. As long as the project is large enough to stand still, or be clamped down and withstand sand being blasted at it in high pressure waves, it can be sandblasted. 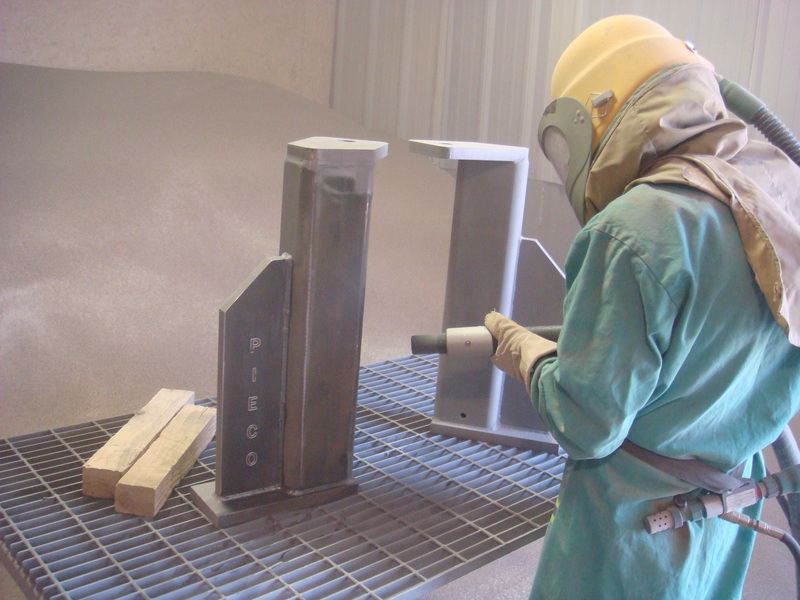 If you have a sandblasting project and a machining company that offers high quality sandblasting services, call Barnes Manufacturing today!